For more than 3 decades, Andy Horowitz’s creative ingenuity and talent has been awakening the senses of awe and excitement in his audience. And that level of entertainment found a way to kick up the energy even higher when he co-founded Galumpha in 2002. 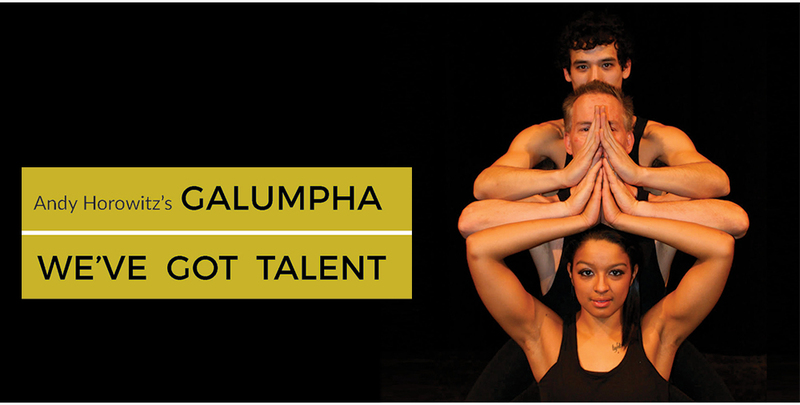 For those of you who have not had the pleasure of attending a performance, Galumpha is an aggressive post modern dance that creates a sensory feast of images ranging from the ridiculous to the sublime, drawn together into a seamless whole, consistently bringing audiences to their feet. But it is more than that – the performance tells a story through artistry in a way that only Andy and his team can deliver. Andy’s holistic approach to performance has been well received in more than 3000 venues in some 40 countries, and in shows on MTV, Showtime, and A & E; yet despite international success, Andy said he is deeply committed to keeping his company based in Binghamton and hiring local residents first. “Our presence here is a testament to an artistically fertile environment that Binghamton has nurtured, and we feel a strong sense of local pride”.